Apple and Samsung ended seven years of conflict with iPhone patents. On Wednesday, two companies of the United States have called for a compromise. In exchange for unpublished money, they have been asked to compromise the case. Seven years ago, the judge of the federal court convicted Samsung last month in a lawsuit filed on the charge of duplicate the iPhone design. At the same time, Apple was ordered to pay 53 million and 9 million dollars as compensation. Then there was a compromise between the two companies of technology. Apple seems to be a big win for more than half a decade of judgment. Because, the company has always argued in the court that the unique design is one of the tools for success on iPhone. In the court, they argued that Apple had broken the patent of the important design of the iPhone. Since 2011, Apple and Samsung were fighting the case. Finally, the negotiations were not followed, but financial issues were not disclosed. US District Court Judge Lucy Koh said that since the two parties have compromised the matter, the claims of this case have been dismissed. Apple said in a statement that the case was more than money. It was necessary to protect the efforts of many Apple employees to work hard. Apple said in the statement, they are very happy in the verdict of the long-running case. Because, they were able to convince judges, rival Samsung Apple imitated the product design, patented function. Money was never a major issue in this case. The verdict of the case is more than financial compensation for them. Apple has been focusing on innovation since the beginning. Due to creative innovation, the only smartphone brand has been able to hold the market dominated by the iPhone. According to customer demand, some of the hard working employees of Apple have been working continuously for product design and development of necessary features and functions. The patent case was important in evaluating Apple's product design, features and the creativity behind the creativity. 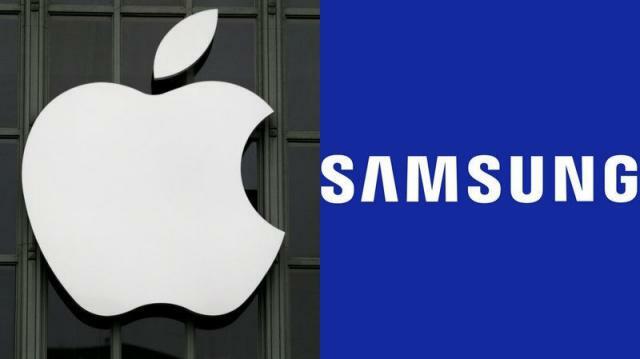 According to AFP's report, Apple and Samsung have long been patented legal battle. In 2011, a California court issued a lawsuit against South Korea-based Samsung for patent infringement, US technology firm Apple. In this case, Samsung has been accused of violating the iPhone 5's patent, design and trademark policy. In one verdict in 2012, the court ordered Apple to pay $ 105 million as compensation to Samsung, according to Samsung. Following the verdict, Samsung appealed to reduce the compensation amount. Later, Judge Lucy Koh decreed the amount of compensation for the appeal verdict. The case was not settled yet. The complexity arises on how the amount of rebounded is calculated. If the High Court rules are issued in the context of Apple's appeal to reducing penalties, then again a hearing is needed. Samsung was interested in paying $ 27 million as compensation for patent infringement. In the argument presented, the organization said that due to the duplicate of a design patent or patented function, the full meaning of the profit from selling a product can not be fined. Mobile devices, especially smartphones, have different types of connections. If there is a violation of the patent for a particular reference, the penalty can be determined based on the profit from that association. But it is not okay to penalize profit based on profits from the sale of the goods that were used in the product. Earlier, in the face of this demand of Samsung, the High Court Judge transferred the case to a lower court in California without final settlement. On the other hand, Apple claims a large amount of compensation, it is calculated based on income from an iPhone model.